EDITOR’S NOTE The Studs Terkel Uplifting Voices Award is only three years old. But it is long overdue as it recognizes the people who recognize the importance of Terkelesque storytelling. Aurie Pennick has always been an advocate for ‘boots on the ground’ people – those who make a difference in our world. She is an unafraid and unapologetic advocate and has never been afraid to speak up or question power, even as she has wielded much of it herself. She understands journalism must reflect the richness and diversity of Chicago. And that honest storytelling about issues is vital to a better city. Even as she retires from the Field Foundation, we know that there is nothing retiring about this woman. We expect to hear her voice at the heart of vital discussions. We are honored to honor Ms. Pennick. Aurie Pennick is a groundbreaking attorney and philanthropist who has had an extensive career in Chicago’s foundation and nonprofit community, directing the city’s first battered women’s shelter, working as a leader in the fair housing movement, and serving as executive director and treasurer of the Field Foundation of Illinois, where she oversees about $60 million in assets. 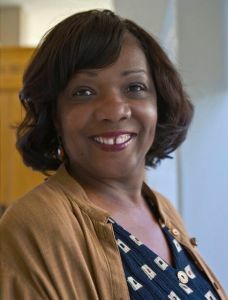 Her titles include president and CEO of the Leadership Council for Metropolitan Open Communities, assistant director for special grants with the John D. and Catherine T. MacArthur Foundation and Chicago Community Trust fellow in the trust’s Minority Fellowship Program. Her awards are many, as are her published works and teaching experiences, including that of adjunct instructor in the master’s program at Spertus College. She is also a sought-after board member, serving on the Field Museum, Rush University Medical Center and the Adler School of Professional Psychology boards. She is the proud mother of two daughters, Faith and Keidra. Pennick is the recipient of the Harold Washington Award for Distinguished Public Service from the Cook County Bar Association. She also was an Aspen Fellow in 2002 and garnered the Chicago Commission on Human Relations Award in 2003. Growing up I watched my mom go to law school, work at non-profits and in philanthropy, dedicating herself to serve as an advocate for marginalized people, those who voices who are too often drowned out and ignored…I’m so honored to be her daughter.